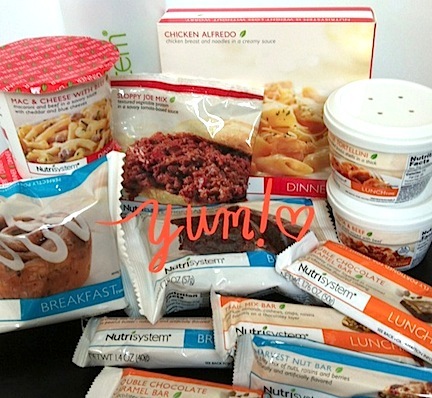 One of the questions I am asked all the time is “how is the food on Nutrisystem?” And I can honestly say that while I was in the weight loss phase, I liked the majority of what I tried. Were there a few that I wouldn’t consider a favorite? Of course; that’s to be expected. But overall, there are plenty of choices to maintain variety and help you lose weight. I never got bored with what I ate. Coming back, there are quite meals that are new to me and include the Cinnamon Bun and Multigrain Waffles for breakfast, the Steak and Cheese Melt for lunch and the Broccoli and Cheese Stuffed Chicken Breast. I’m really enjoying the Chef’s Table meals, too; loving the Cavatelli with Broccoli Pesto. And the Nutrisystem Shakes are a great snack when I get in from Zumba or a power walk. With 15 grams of protein, these shakes fill you up and taste great. 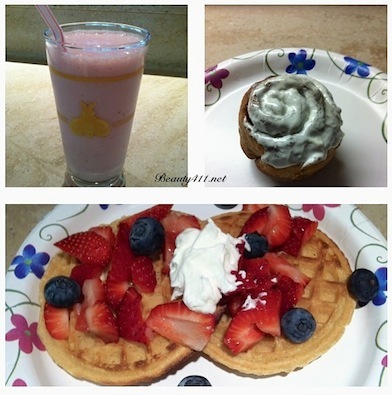 A typical day looks like this: breakfast has been one of the frozen omelets (always one of my favorites), then a Nutrisystem shake or some string cheese and fruit; I usually make a salad for lunch or will use one of the Nutrisystem frozen lunch entrees or meal replacement bars. And dinner might be a Nutrisystem Chef’s Table entree, followed by dessert. Every day is a little different. Overall though, being back on the Nutrisystem plan makes maintenance a little less scary. If you’d like to lose weight and get healthier on Nutrisystem, or for more information, go to www.nutrisystem.com and take advantage of the summer savings!